There are many ways you can contribute to Performing Life. It doesn’t matter where you are, what skills you have, or how much time or money you can spare. We have lots of ways you can help! 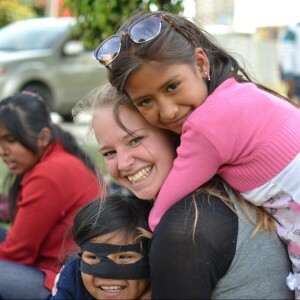 Performing Life’s volunteer opportunities are designed to allow national and international volunteers and interns to use their skills to help children and families who either live and/or work in the streets of Cochabamba, Bolivia. The current services and projects available at Performing Life have been developed and/or supported by past volunteers from all over the world. We are always in search of new volunteers. Performing Life is a welcoming organization that gives volunteers the opportunity to bring their own ideas to the table, develop existing projects or create new ones, and make a real impact on youth and their families. We are a small organization, so any help is welcome! We seek volunteers who are independent, free-thinking, and self-sufficient. Due to our limited staff and budget, many programs are primarily volunteer-run; therefore, volunteers must be responsible, goal oriented, hardworking individuals. Volunteering with Performing Life can be a highly rewarding experience for the volunteer, the youth, and organization. Required Skills: Anything circus related including theater, clown, etc. Activities involve: Organizing acts, teaching new skills, creating shows, design/direct skits with social themes, make costumes, etc. Required Skills: Anything music related, ability to play instruments, beat making, audio engineering, recording, singing, composition, production, etc. Activities involve: Teaching youth how to play instruments, compose and record songs, organize and promote concerts, produce album art, etc. Required Skills: Financial literacy, microenterprise, marketing, sales, community, and international development. Activities involve: Working with youth and their families to develop realistic investment opportunities, implement self-determined investment plans, and learn to track expenses and benefits; understand finances and savings; teach microfinance workshops with PL families and youth to improve investment income for beneficiaries and ultimately help them create tools to improve their socioeconomic status. To help the microenterprise program grow, PL must reach a wider retail audience and develop strong connections with wholesale buyers. Required Skills: Education, with a focus on experiential and innovative teaching methods for diverse skill levels, etc. Activities involve: Creative learning experiences with youth that integrate a range of subjects; engaging body, speech, mind, and the senses in a total process; encouraging youth to explore new concepts, cultures, and ways of thinking. Activities involve: Teaching youth and families about health issues; leading health related workshops; helping families and youth to improve personal and household hygiene; empowering girls and boys to take control of their health. Activities involve: Help older participants develop their education goals; research and select options for higher education; prepare and fill out applications; identify scholarships, funding, and resources to support youth to achieve educational goals. COMMUNICATIONS, FUNDRAISING, GRANT WRITING, PROMOTION, SOCIAL MEDIA, AUDIOVISUAL PROJECTS, WEBSITE DEVELOPMENT, REPAIR AND MAINTENANCE. Required Skills: Social media campaigns, fundraising, proposal writing, website development, etc. Activities involve: Identify funding sources and write proposals; develop and manage social media campaigns; create innovative ways to reach diverse audiences with the PL story; direct and produce short films, documentaries and/or a feature film with PL youth; create sustainable support for youth projects; and other projects. Get more information & Become a volunteer! I worked with the kids for two months teaching music. It wasn’t always easy to keep their attention, but it was worth the effort to see them enjoying the music that they are playing, both in the studio and in shows. I started volunteering with Performing Life for two months through a Northwestern University and Foundation for Sustainable Development program. 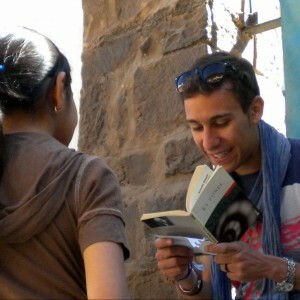 What started out as just a summer abroad turned into the best experience of my life. With two other classmates and a couple other volunteers, we expanded upon an Education Program to supplement gaps in the children’s education. We taught an hour a day with lessons ranging from English and culture to mathematics practice. At first the kids were hesitant to practice but by the end they would greet me everyday with a “Hello” and a few other English phrases. 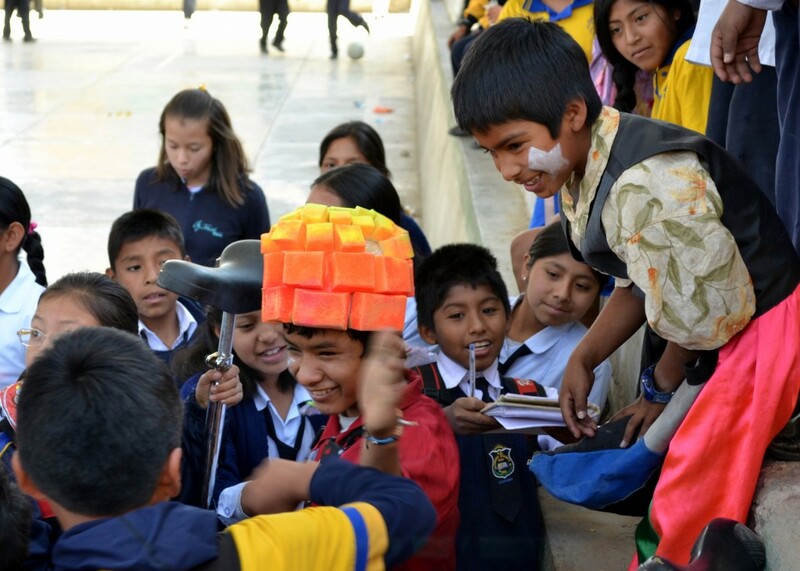 The best part of Bolivia was the people and none were better than the children at Performing Life. 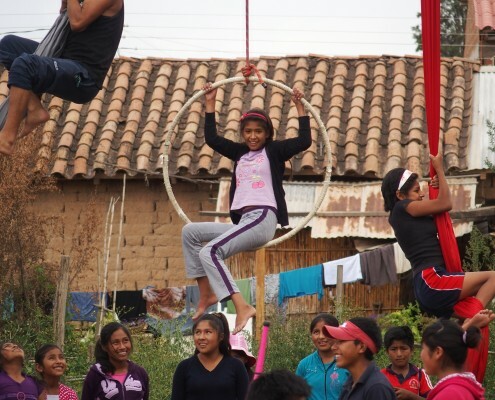 Each day they came to the program smiling, laughing and ready to improve their circus skills and learn something new. They are the hardest working and most deserving and children I have ever met. Leaving them was extremely difficult; I miss them every day, but I know the connection I made with them and Performing Life will last a lifetime. I had the pleasure of volunteering with Performing Life for 8 weeks as a part of an international study abroad course at my university. The experience was unforgettable, and I learned so many things from these amazingly talented children. I learned how to juggle, laugh at myself, run away from tickling, share my culture, and challenge my previous preconceptions. John Connell, Marye Dijkstra, and Adalid Coca manage one of the most unique and revolutionary NGOs in all of Bolivia. Performing Life is paving the way for Social Circus, which is a movement that utilizes circus arts to empower impoverished youth. The organization helps keep children away from negative influences such as drugs and crime while encouraging physical fitness, social awareness, and critical thinking. It runs both in the morning and afternoon, accommodating the kids that attend school at different times. Each day, the children get to eat a hearty meal and clean their own plates afterward. Every birthday, Adalid buys a huge cake to split and the children sing and attempt, usually unsuccessfully but comically, to smash face of the lucky person into the cake. The children participate in various circus activities: juggling, silks, trapeze, acrobatics, diablo (Chinese yo-yo), unicycle, fire poi, rola bola, and fire eating and breathing. It is absolutely breathtaking to watch the children perform in front of crowds, and I remember being so proud as onlookers observed in astonishment. Volunteering at Performing Life is immensely satisfying and undoubtedly interesting. 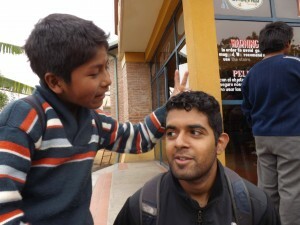 The children deserve the world, and I fell in love with Bolivia after seeing it through their eyes. Please consider helping them through either your time or money. Nothing given to these kind and resolute children is a waste. My time with the Performing Life family truly flew by, and I already miss them. 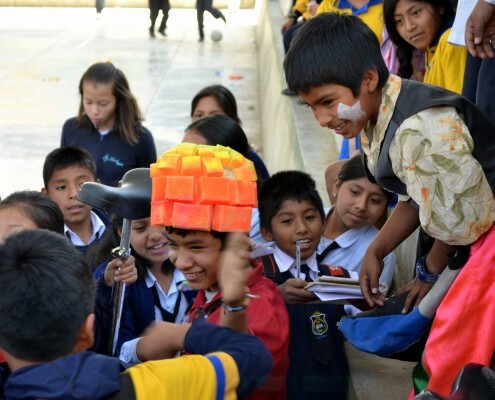 In the Summer of 2015, I had the opportunity to visit Bolivia and volunteer with Performing Life. I had no idea what to expect, but I was pleasantly surprised. I was really caught off guard during my first few days of meeting the children because of how immensely talented they were. I had not seen many Circus acts in the United States, so arriving here to see these small children doing these amazing things was definitely a bit of culture shock. You do not realize how difficult it is to do a lot of those things until you try them yourself. However, the children love to help you learn. 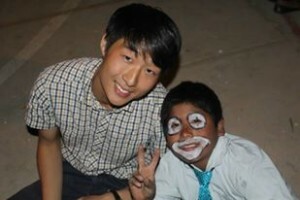 The children who are apart of Performing Life are some of the most humble, kind, and loving children I have ever met. They do not have much when it comes to economic resources, but that does not get in the way of their happiness. 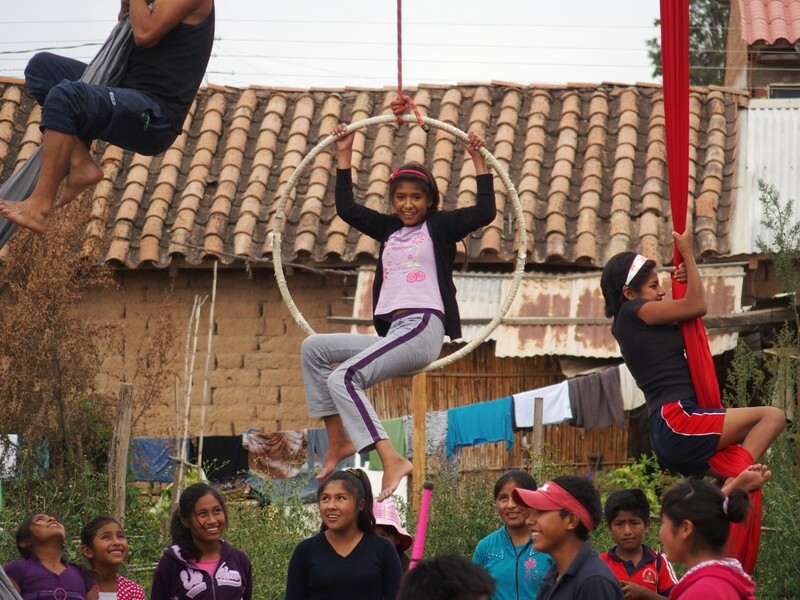 They all come to the morning and afternoon programs with a huge smile on their face and excited to partake in their Circus activities. It is impossible not to get attached to the children, even after just having known them for a few weeks. Volunteering with Performing Life will be one of the most memorable experiences of my life without a doubt. I would not have changed this experience for anything. I was a volunteer with Performing Life for two incredible months. Those months I will never forget. I have started with Circus in 2010 and since then I have not stopped. This year I wanted to work as a volunteer in a project that had both things; children and circus. I found it in Performing Life and as soon as I could I came to Bolivia and I started to work with them. It was amazing: the kids and the team who I worked with, the kids gave me a smile every day and wanted to practice more and more their Circus Skills. The children train 4 days a week juggling, acrobatics, aerial silks…not just for fun, because I am convinced that Circus helps them to improve their concentration, individual development and to trust in others. This positive side of Circus I wanted to share with Performing Life, and I did it! “Here in Spain I remember the days I spent among you with great longing. 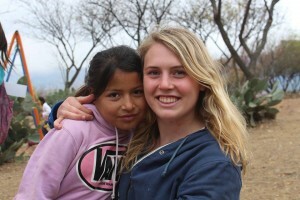 From my trip to Bolivia, the days I spent with you, no doubt, were the best part of my trip. During the performance in the main square, I saw the result of my effort to convey what I knew, and I could not hold back my tears because I knew that a part of me would stay with this amazing project, these wonderful children, and this community. 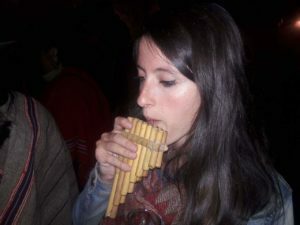 “During my travels in Bolivia I made a visit to Cochabamba. While there I met John Connell, and soon after I found myself asking for a volunteer job. Working with the Performing Life crew was probably one of the most interesting things that ever happened to me. Because I studied film and photography, they asked me to direct a music video for the latest song, “Bajo el Puente,” produced by the youth in the Music Program. I studied the song’s lyrics and brainstormed with the others involved, and we later shot footage with Favio, the singer, and several street children who appear on the track. As I got to know each one of them, I learned about their lives: their drug abuse, the discrimination and violence they face, the fear and loneliness of life on the street. The days and nights I spent with them where simply unforgettable.